Sir David Attenborough’s recent BBC documentary ‘Blue Planet II’ not only provided lush underwater vistas and wonder at the diversity of usually hidden life, but also highlighted serious ecological issues. Perhaps the most striking of these is the plastic that chokes our oceans, harms wildlife, and even finds its way back into the food chain. Historically, China has imported waste from other nations, which it has then disposed of or recycled. However, as of the beginning of this year, China has implemented stricter regulations regarding what it will accept, including a ban on plastic waste. This raises challenges for companies that previously exported plastic waste to China for processing, and will create new opportunities for local recyclers. The US in particular has been hit hard by this new law, having shipped nearly 4,000 containers of recyclables to China per day before the ban was imposed. Reports note ‘mountains’ of waste piling up at facilities across the country1. The UK Government is concerned over the amount of plastic used as the country is currently likely to miss EU targets to recycle at least 50 per cent of household waste by 20202. In 2016, California was the first US state to impose a state-wide ban on plastic bags. Other counties and municipalities, such as Austin, TX, Cambridge, MA and Seattle, WA have imposed 5-10 cent fees. While a ban on plastic bags was proposed in New York City and did not pass, New York State’s plastic bag recycling law requires large retailers to take back all types of plastic bags that they provide to customers for recycling, including single use plastic bags3. In 2015, the UK government introduced a 5 pence levy on all single-use plastic bags, which has since resulted in an 80 per cent reduction in their use4: proof that the public is willing to change its habits. In January this year, it also announced that as part of a refreshed environment strategy, the UK will aim to eradicate all avoidable plastic waste by 2042. ‘Reflections’ on a 25p ‘latte levy’ on disposable cups may yield further action. In 2016, France passed a law that will see plastic utensils banned by 2020. 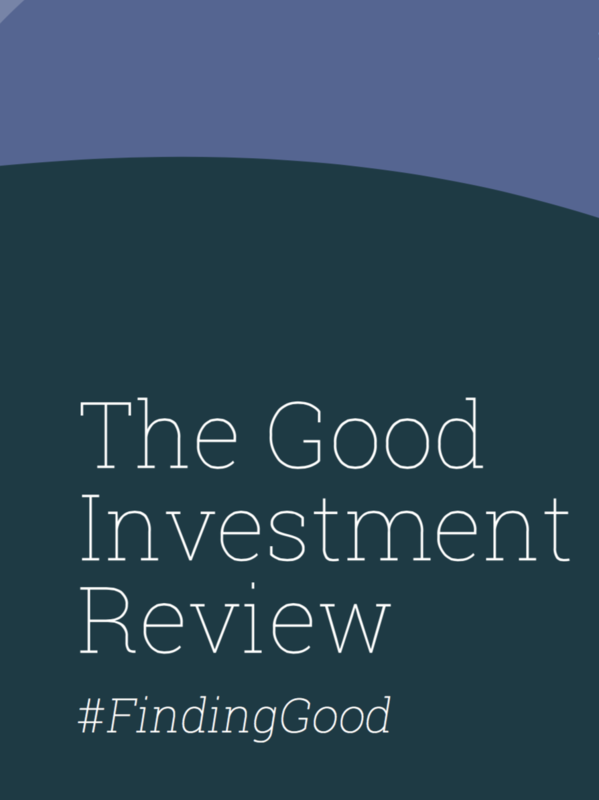 Read the Good With Money Good Investment Review for more on how to make your investments sustainable. Recycling processes – one of our portfolio companies has pioneered plastic bottle recycling in France, developing plants which convert polyethylene terephthalate (PET) into food packaging, and we are confident that we will see further innovation. For example, transparent plastic has more value than coloured plastic. Innovation in packaging – biodegradable, or fibre-based renewable packaging replacing plastic and non-single use food packaging, is on the rise and is a strong theme across Impax’s portfolios. As the transition to an economy generating less waste gathers pace, it is only natural that one of the most visible and long-lasting pollutants catches the public eye. Impax has been investing in the opportunities arising from this transition for nearly two decades. Meg Brown is head of sales at Impax Asset Management.